Natalie McCambridge and her team embrace the tech to save you time. There is a big problem with your lunch hour. Just imagine if you didn’t have to waste any of those 60 minutes. If the hour could be spent relaxing, eating, enjoying, planning, preparing for the rest of the day. But, chances are, a whack of your hour is spent walking, queueing, deciding, ordering, waiting, paying. 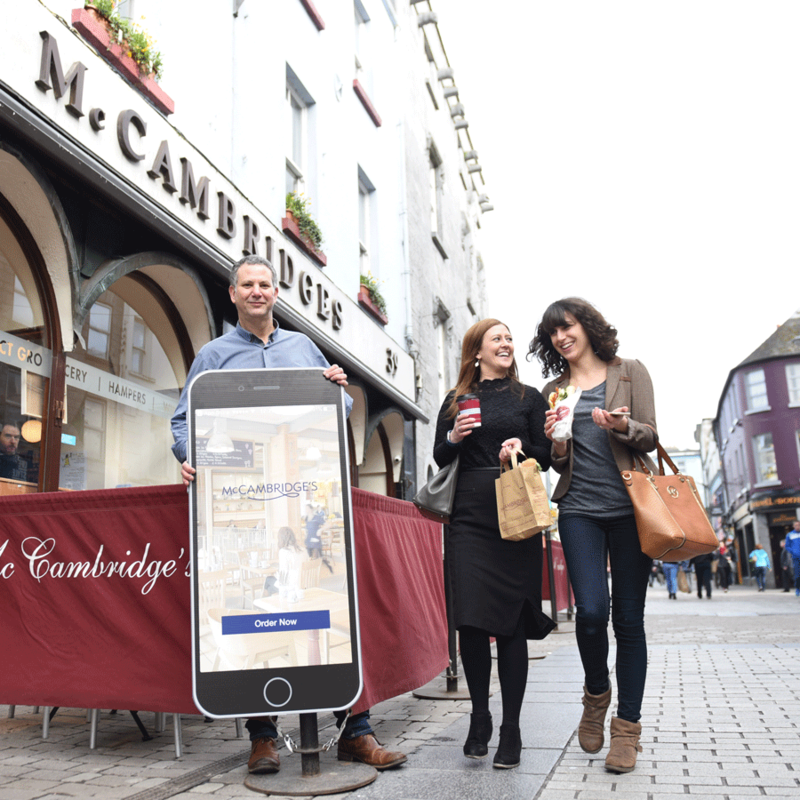 When time is tight, we need smart solutions like the new app which legendary Galway grocers McCambridges have just launched. This smart baby allows you to order and pay for your lunch before you get anywhere near this iconic and historic city address. So, when you do turn up during your lunch hour, there is no waiting, no hassle, no queueing. It’s ready and waiting. You just collect your order. Someone give these guys the Freedom of the City. Or, at least, the Freedom of the Lunch Hour. Log on to www.mccambridges.com, and banish the stress.